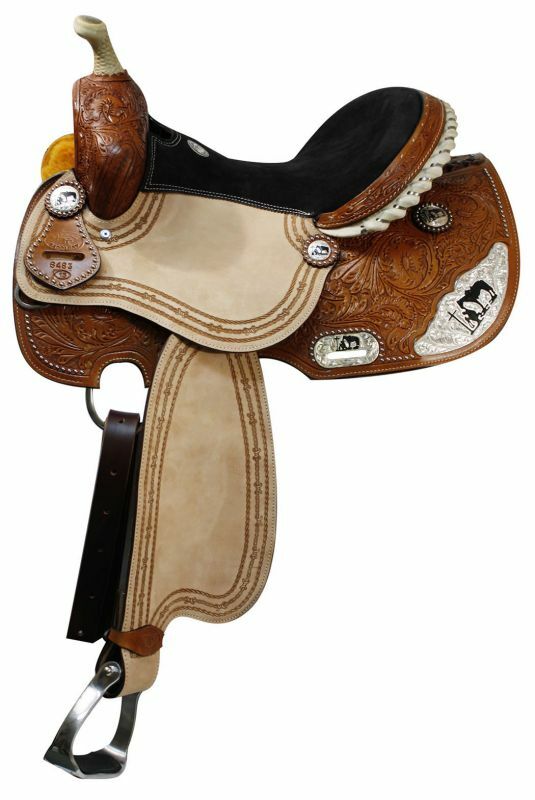 Double T barrel saddle with silver laced tan rawhide cantle, dot border on roughout fenders and jockies. 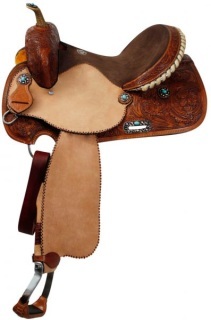 Saddle features fully floral tooled pommel, skirts, and cantle. Saddle has inskirt rigging and features preturned stirrups. Saddle comes complete with leather off billet and latigo tie strap. Accented with turquoise stone conchos. Made by Double T Saddlery. 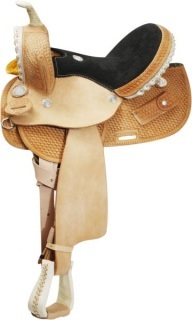 Finish: Light Oil Round Skirted Barrel Style Saddle made By Circle S Saddlery. Saddle features basketweave tooling with roughout jockies and fenders. Silver wrapped rawhide braided cantle, gullet, and horn, along with rawhide stirrups. Suede leather seat, hoof pick keeper, and silver hardware. Comes complete with latigo tie strap and off billet.